Welcome to Mimbi Caves, heart of Gooniyandi country. Come with us on an amazing journey deep inside Mimbi Caves, part of the 350 million year old Devonian Reef system. 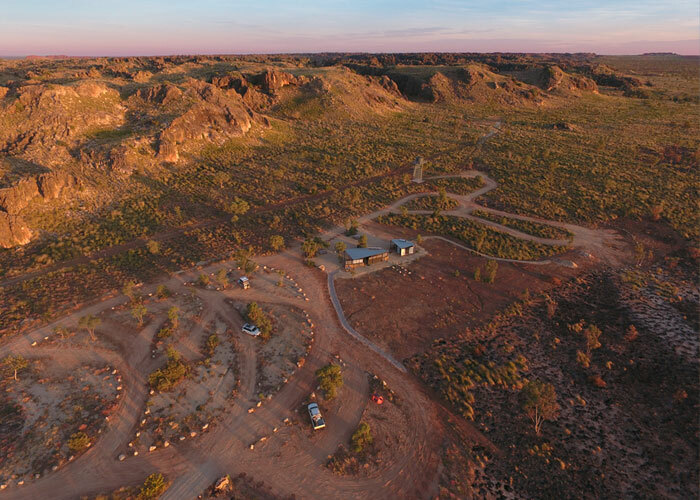 Hear fascinating stories as your Gooniyandi guide takes you back to a time when local Aboriginal people inhabited this unique network of caves that have been carved out of this ancient fossilised reef system over millions of years. Mimbi Caves | Amazing cultural history and spectacular geology. The spectacular and delicate limestone formations, brilliantly vivid colours and icy cold, crystal clear freshwater pools are all that remain of the Devonian Great Barrier Reef that was formed over 350 million years ago. Mimbi cave system reveals ancient large scale fossilised reefs that are amongst the best preserved in the world. 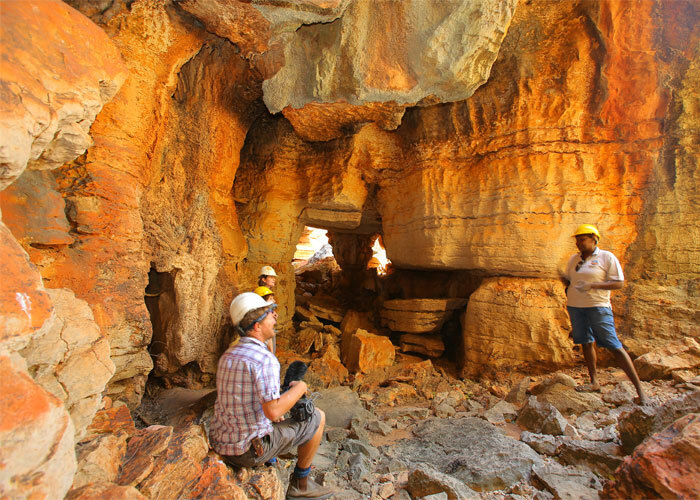 This extraordinary location attracts geologists from all over the world. 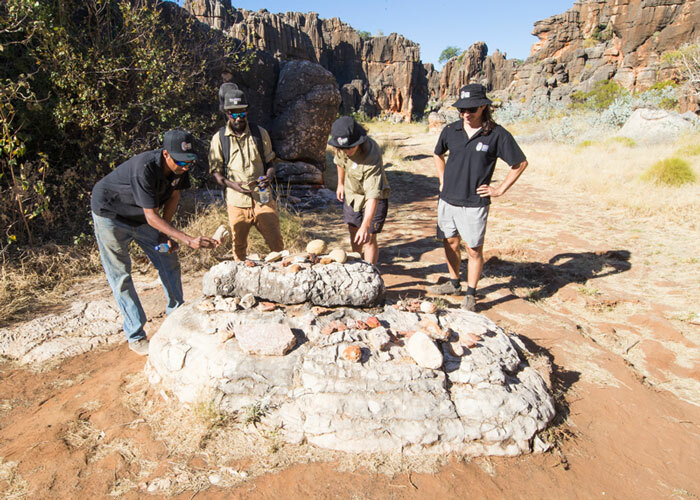 Your guides will share a wealth of information on how the cave systems were formed, pointing out various rock formations including speleothems, tall slender stalagmites, shawls, flowstones and sparkling calcite crystals formed over millennia. Mimbi Caves is 100% Indigenous owned and operated.